Amazon Prime Day is now a legitimate international shopping holiday in the same vein as Black Friday and Cyber Monday. Though Amazon obviously reaps the lion’s share of benefits from the event, Prime Day now has a substantial ripple effect on the entire retail world, especially for brands that time their sales events with Amazon’s self-created holiday. Manufacturers and retailers alike ignore Prime Day at their own peril. In each year since its inception, Prime Day has smashed the sales record from the previous year, and in 2017 Prime Day was Amazon’s single highest sales day of all time, outperforming Black Friday and Cyber Monday combined. This year, Amazon looked to push their monumental sales even further, expanding Prime “Day” to 36 hours from its usual 24. As a result, some expected Prime Day sales to rise as much as 40% from last year. Was Amazon able to pull it off? Unfortunately for Amazon, Prime Day got off to an auspicious start this year, with technical problems preventing many shoppers from accessing the site during the first few hours of the sale. These shoppers were directed to error pages or became caught in a loop of pages directing them to “Shop all deals” without actually letting them shop. Others were able to add items to their cart, only to have error messages pop up when they attempted to complete the purchase. The problems weren’t centralized to Amazon’s retail site either but occurred throughout their entire online suite. Many users lost connections with their Alexa digital assistants and had issues streaming Prime Video. Amazon’s cloud-computing service AWS had global issues that affected websites for thousands of companies. 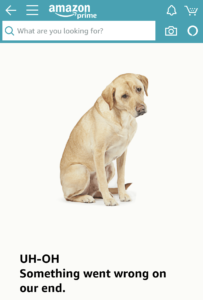 With issues on both the website and app lasting several hours to start the sale, one would think that Prime Day sales numbers would be down this year, right? Think again. Despite widespread issues with customers being able to properly access the site, Amazon’s numbers for the first few hours of the sale were up significantly from the previous year. According to Feedvisor, which sells software to set prices in e-commerce, total sales for the first twelve hours were up 89% from last year’s Prime Day sale. Feedvisor’s estimates are based on results from its clients, not hard numbers from Amazon, but this data is very encouraging for Amazon’s sales numbers. Overall, shoppers purchased more than 100 million products on Prime Day with $4.01 billion dollars in sales, a huge jump considering last year’s total of $2.41 billion. Prime Day wasn’t entirely unaffected by their technical difficulties. Even if sales were up compared to last year, Internet Retailer estimates that Amazon lost out on $72.4 million in revenue. Though the technical problems may not have affected sales too dramatically, it did cause the company’s stock price to stutter, though they are still on track to see gains throughout the entirety of the event. Sales and profits were great for Amazon in 2017, but brands attempting to take advantage of the increased traffic had mixed results with Amazon advertising. During Prime Day 2017, Amazon Advertising clients saw massive upticks in impressions but the added competition caused cost-per-clicks (CPCs) to soar as well, leading to less-than-stellar Return on Ad Spend (ROAS). Amazon’s ad platform has grown tremendously in 2018, with investments in Sponsored Product ads and Sponsored Brand ads increased over 160% for both ad types in Q2. 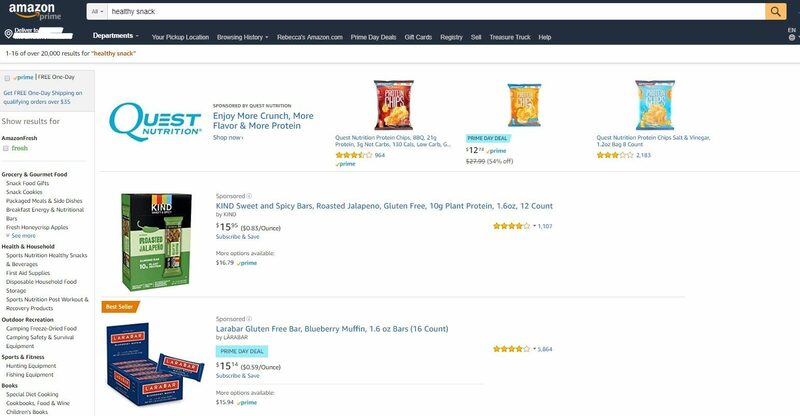 During Prime Day 2018, Amazon Advertising ads were more common than in last year, and it was easy to see sponsored ads labeled with “Prime Day Deal” in blue. Even though the technical problems had an impact on ad spend during July 16th, impressions and CPCs rebounded the next day after Amazon fixed the issue. Our clients with Deals of the Day also saw great returns during Prime Day. Even when Amazon stumbles, they still find a way to set new sales records. Prime Day is a force to be reckoned with. For a shopping holiday as big as Prime Day, it’s never too early to start getting ready. Update your Amazon essential and A+ content now. Make sure you have a complete detail page for your products before Prime Day 2019. Optimize Amazon ad campaigns. Get familiar with Amazon search and display advertising best practices for your category. Also, be sure to know which keywords are most effective for driving traffic. This will help you get the most out of Prime Day 2019 and the upcoming holiday shopping season. Don’t underestimate Amazon Prime’s spend-happy customer base. Amazon’s technical problems didn’t hinder Prime membership growth. More people signed up for a Prime membership on July 16, 2018 than any previous day. This will have an impact beyond Prime Day because Prime members spend more annually than non-Prime members. Be prepared for Prime Day to grow. Amazon’s not restricting Prime Day sales to one day anymore. Whole Foods Market had a week of savings around mid-July and Amazon kicked off Prime Day with a 12-hour early bird sale on Amazon devices. Prime Day is getting bigger each year. Editor’s Note: On September 5, 2018, Amazon rebranded its advertising platform. Amazon Marketing Services changed to Amazon Advertising and Amazon Advertising Platform changed to Amazon DSP, among other changes. This blog post was changed on October 5, 2018 to reflect those changes.